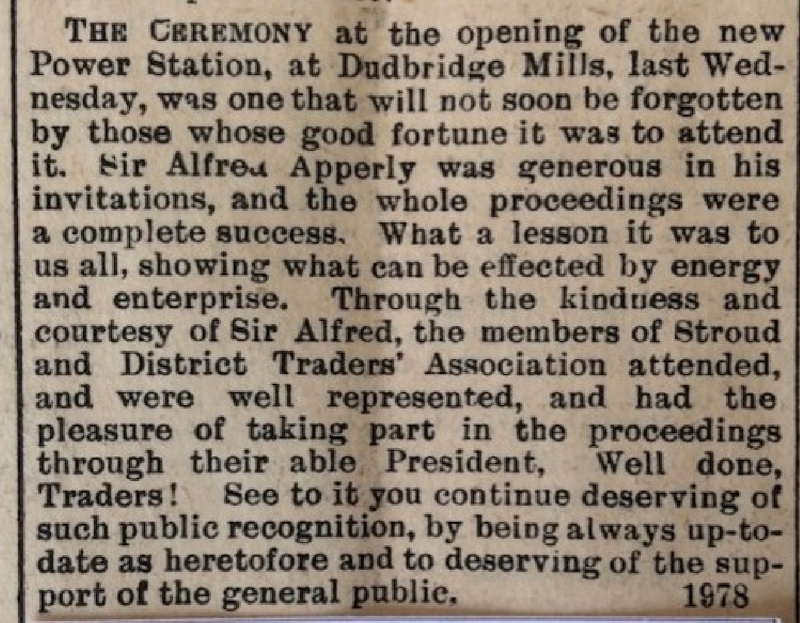 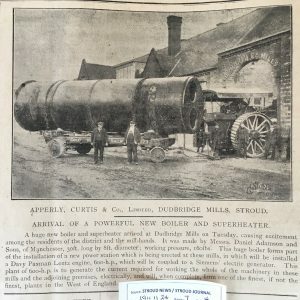 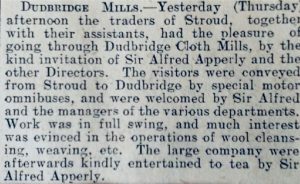 Woollen cloth manufacturers, Dudbridge Mills. 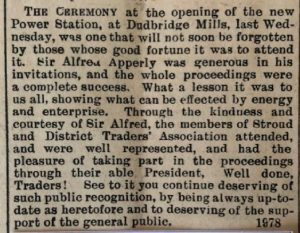 Founded in 1794 by John Apperly, succeeded in 1837 by his sons James & David Apperly and by (Sir) Alfred Apperly in 1872. 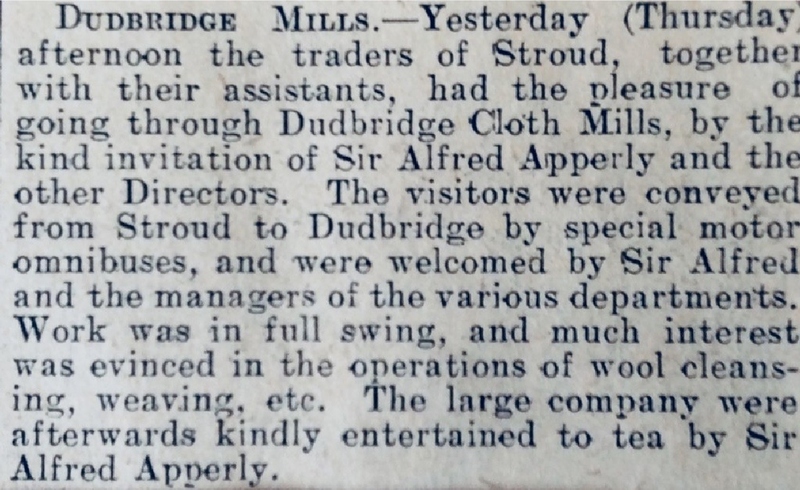 Large additions to the weaving shed were opened in 1910 by the Countess Bathurst. 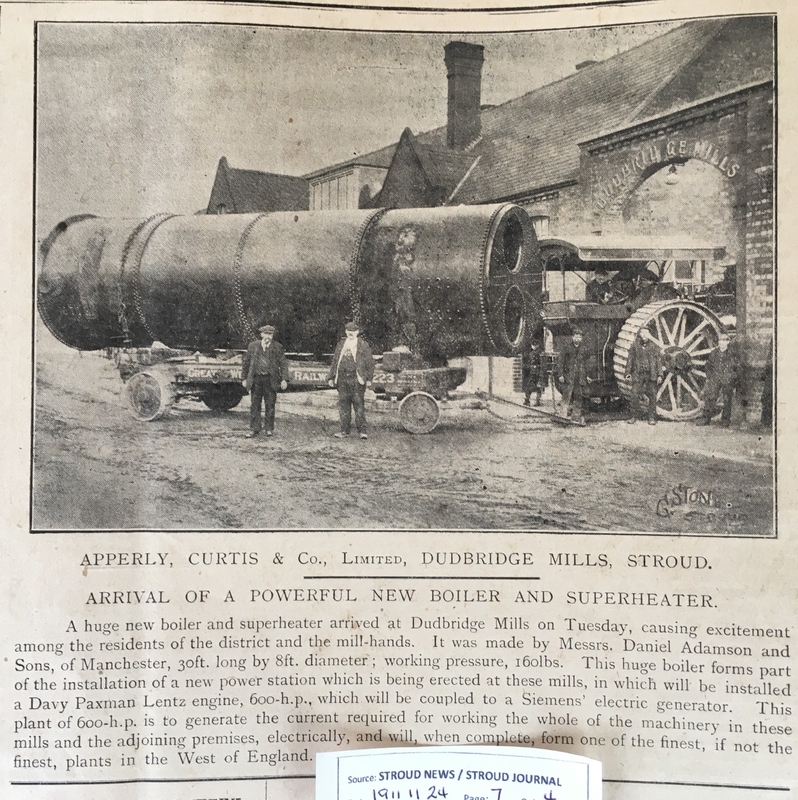 A new boiler and heater was installed in 1911. 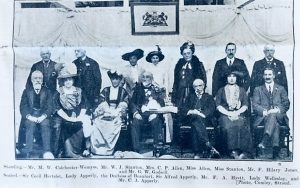 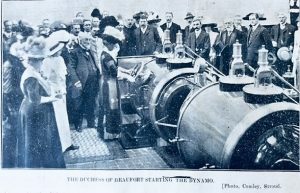 Electric power was installed in 1912 and opened by the Duchess of Beaufort.